Micro-needling treatment allows for controlled induction of the skin’s self-repair mechanism by creating micro “injuries” in the skin, which triggers new collagen synthesis, yet do not pose the risk of permanent scarring. The result is smoother, firmer and younger looking skin. Micro-needling procedures are performed in a safe and precise manner with the use of a sterile needle head. The procedures is normally completed within 30-60 minutes, depending on the required treatment and anatomical site. After the procedure, the skin will be red and flushed in appearance in a similar way to moderate sunburn. You may also experience skin tightness and mild sensitivity to touch on the area being treated. This will diminish greatly after a few hours following treatments and within the next 24 hours the skin will be completely healed. Most side effects resolve over the next 3-5 days. Micro-needling treatment is contraindicated for patients with: keloid scars, scleroderma, collagen vascular diseases or cardiac abnormalities, a hemorrhagic disorder or hemostatic dysfunction, active bacterial or fungal infection. 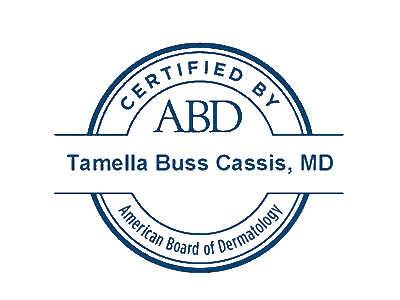 Micro-needling treatment has not been evaluated in the following patient populations, as such, precautions should be taken when determining whether to treat: scar and stretch marks less than one year old; women who are pregnant or nursing; keloid scars; patients with history of eczema, psoriasis and other chronic conditions; patients with a history of actinic keratosis; patients with a history of herpes simplex infections; diabetics or patients with wound-healing deficiencies; patients on immunosuppressive therapy; and skin with presence of raised moles or warts in targeted area. Prior to your treatment with the Collagen P.I.N., the medical provider will apply a topical numbing agent. Most people have minimal pain when pretreated with a topical numbing agent. Immediately after your treatment your skin will look slightly pink to extremely red. Depending on your skin’s sensitivity your redness can last for another 24 hours. Slight redness, peeling and flaking is expected 24 hours to one week post treatment. Your medical provider will recommend skin care products for your post care based on your individual skin, which will help minimize these symptoms and enhance your overall results. It is recommended to go home and relax post treatment. The staff at Cassis Dermatology and Aesthetics Center can perform Collagen PIN.